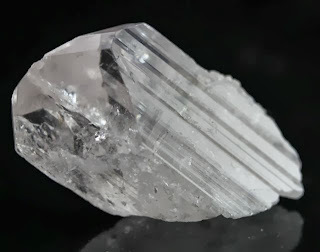 The 'Stone of the Crossing', holding an almost electric energy, Danburite work's as fast as lightning, this stone is a key to the crossing over of inner being to the world of light. Danburite is a stone for all those on path's of Enlightenment, holding this stone within one's hand's, is holding a key to the Heaven's. This stone can be used to create communication's within the Light, from Angelic being's, from Ascended Master's, from teacher's of Harmony.